A cruise to Mumbai is a great opportunity to explore one of the most diverse and interesting cities in all of Asia. And as always, Cruise 1st Australia has some great deals, so you could visit this fascinating area of the world for less. You can find all the latest cruise deals visiting Mumbai by visiting our homepage and searching for Mumbai. But read on to find out more about the city, and what you should do when you get there. Mumbai might just be like nowhere else you’ve ever visited. At times it seems impossibly busy, bustling with life at every turn – no wonder given that the population now stands at over 18 million. Yet India’s largest city still has its quieter corners, and plenty of unforgettable sights. Spend a few days here and you’ll see why Mumbai is consistently rated one of the best cities in the world to visit. Probably the city’s most famous attraction is the Gateway of India, an Arc de Triomphe-style monument built to mark the visit of King George V and Queen Mary. It is the first thing many visitors see when arriving by boat, and a great starting point for your journey around the city. 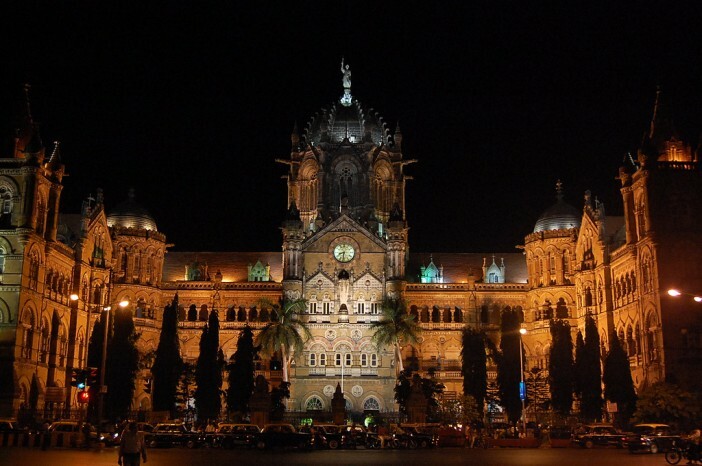 There are plenty of other excellent examples of colonial architecture, such as the Prince of Wales Museum, Victoria Terminus railway station and the Bombay High Court. For an authentic Indian experience, the markets and bazaars are a must-see. You’ll find everything from clothing to food and souvenirs here, walking in amongst the locals who come here every week. You’ll also find plenty of options when it comes to dining – from food stalls to authentic Indian restaurants serving the finest real curries. Cruise lines currently providing trips that visit Mumbai include Royal Caribbean Cruises and Celebrity Cruises. You can find all the latest deals on cruises visiting Mumbai by visiting our homepage and using the search tool. Alternatively you’ll find deals on our Dubai and Emirates cruise deals page. Remember, we’re always updating our deals – so if you can’t see anything that takes your interest, make sure you check back soon. This trip begins with a flight from Australia to Dubai, where you’ll stay the night in a hotel. From there your cruise begins, stopping off at Mumbai, Goa, New Mangalore, Colombo and Singapore. You’ll then fly back to Australia. After a flight from Australia, your cruise begins at Singapore after a hotel stay. You’ll go on to visit Port Kelang, Phuket, Colombo, Cochin, Mangalore, Goa, Mumbai and Dubai, before the return flight to Australia. This cruise sets off from Sydney, and visits Brisbane, Airlie Beach, Yorkeys Knob, Darwin, Benoa/Bali, Singapore, Kuala Lumpur, Phuket, Colombo, Cochin, Mangalore, Goa, Mumbai and Dubai. You’ll then return by flight to Australia.